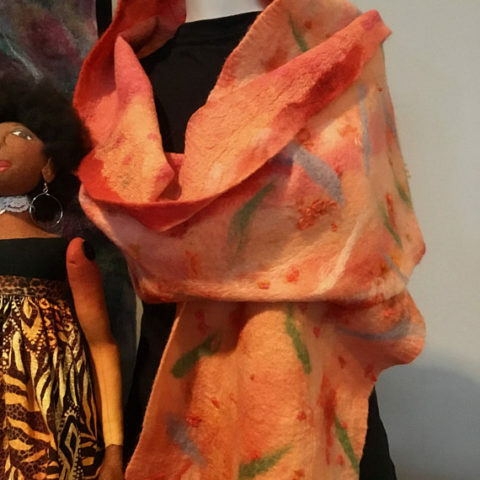 Experience the softness and beauty of this one of a kind merino wool felt scarf, made using a process called wet felting. 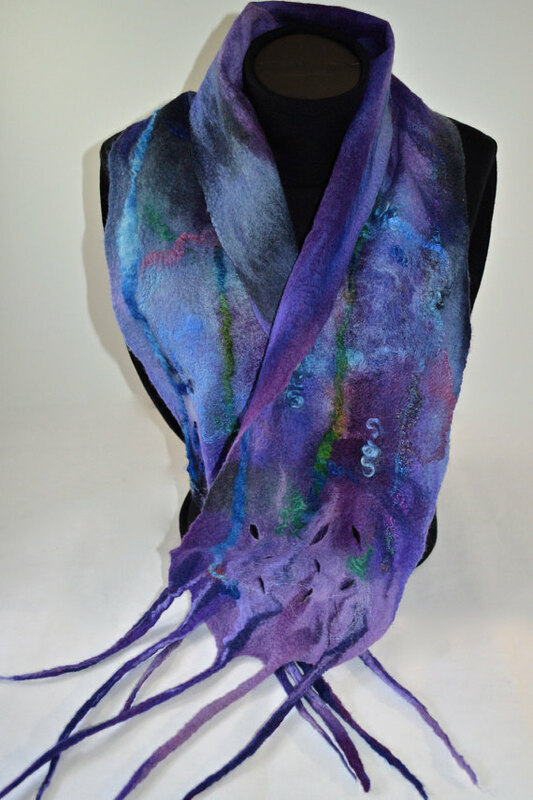 Scarf created with shades of blue/purple merino wool which helps to create the “stormy” look. Felted with intentional holes on both ends, fringed edges, wool locks, silk hankies and decorative ribbon trim. Light weight cobweb effect. Care: Felt does not require frequent washing. However, if necessary hand wash in cold water using mild detergent specifically for wool, rinse well, gently squeeze excess water out then roll in towel to remove any remaining, lay flat to dry. Do not wring out. Please note: My scarves are handmade so each is meant to be unique and not duplicated.